Three weeks after the murder of a 30-year-old customer care executive with telecommunications company, MTN, Oluwatosin Ashinwo, in Ilorin, the Kwara State capital, the man who allegedly stabbed her multiple times, causing her death, has been apprehended by the police. 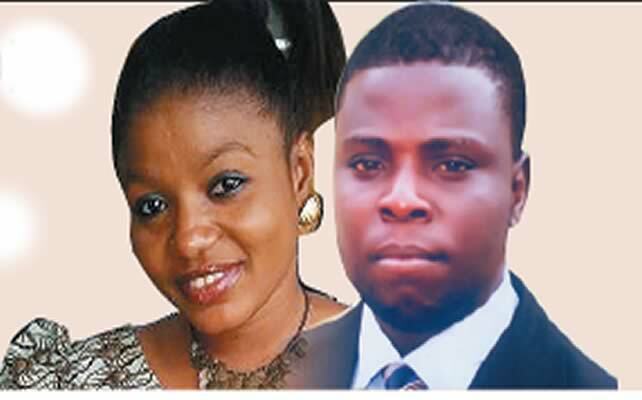 Saturday PUNCH learnt that 45-year-old David Ogundele, whose love advances were rejected by the deceased, was arrested in Osun on Saturday, May 14, after the police tracked him down with undercover agents. He was immediately brought back to Kwara State where he was transferred to the Department of Criminal Investigation of the Kwara State Police Command, Ilorin. It was learnt that the police had also retrieved the murder weapon, a kitchen knife which Ogundele, an engineer, used during the attack. Also recovered were slippers, which he left at the scene. Saturday PUNCH reported on April 30 how Ogundele allegedly attacked Oluwatosin and her mother in her apartment at Tanke area of Ilorin. He reportedly stabbed the deceased and her murder multiple times, locking them in the apartment as he fled. Oluwatosin would later bleed to death while her injured mother had to undergo a life-saving surgery to repair the extensive damage inflicted by the knife attack. Ogundele later told our correspondent by text message while in hiding that he would give himself up to the police because he was under a spell when he attacked the young woman and her mother. “She is dead, let me die too,” he had said at the time.